3rd Mondays, Morning- 10AM- Noon at the Bee's Knees, 725 Warren St, Hudson, NY. Call a Leader or visit our Facebook Page to confirm location & details. 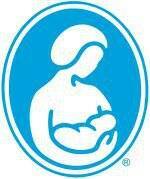 Attending La Leche League meetings will help you to learn about breastfeeding. At meetings we share our questions and concerns as well as the benefits and joys of breastfeeding, and mothering through breastfeeding. La Leche League Leaders are experienced mothers who have breastfed their own babies and are trained and accredited by La Leche League International to help mothers and mothers-to-be with all aspects of breastfeeding. Meetings, and telephone support from our accredited volunteer La Leche League Leaders, are provided FREE of charge. If you appreciate the work we do and would like to help us to continue to provide this service to others, we welcome you to become a member of our local group. Membership in La Leche League is $40 per year. You are always welcome to attend meetings or call a Leader for support regardless of membership status.